Located 47 km from St Ives, Little Granary offers pet-friendly accommodation in Saint Eval. The property is 11 km from Newquay and features views of t..
Little Lanherne Farm is a holiday home located in Saint Eval, 44 km from St Ives. You can fire up the barbecue for a tasty meal and enjoy the garden i.. Featuring a garden, Treginegar Farmhouse is a holiday home situated in Saint Eval. 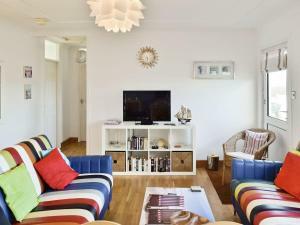 The property is 47 km from St Ives and free private parking is avai..
Fistral is a holiday home set in Saint Eval, 47 km from St Ives. 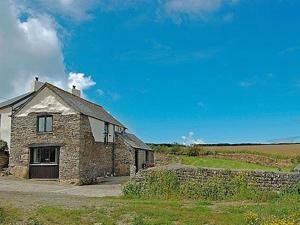 The property is 12 km from Newquay and free private parking is offered. The unit equ.. 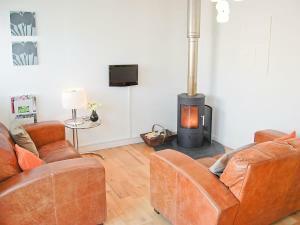 Located in Padstow in the Cornwall Region, this holiday home is 47 km from St Ives. The unit is 12 km from Newquay. There is a dining area and a kitc..
Treyarnon is a holiday home located in Saint Eval in the Cornwall Region and is 47 km from St Ives. The property is 12 km from Newquay and free privat.. Located 47 km from St Ives, Watergate offers pet-friendly accommodation in Saint Eval. The property is 12 km from Newquay and free private parking is .. Situated in Saint Eval, this holiday home features a garden with a barbecue. The unit is 43 km from St Ives. Free WiFi is provided throughout the prop..
Chy Gwennol is a holiday home set in Saint Eval in the Cornwall Region and is 43 km from St Ives. The unit is 8 km from Newquay. An oven and a toaste.. Located in Saint Eval, this holiday home is 45 km from St Ives. You can fire up the barbecue for a tasty meal and enjoy the garden in fair weather. T.. 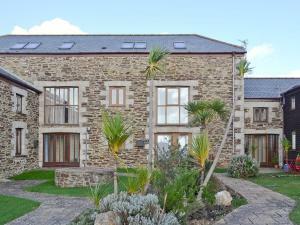 Featuring a barbecue, Porth View is a holiday home situated in Saint Eval in the Cornwall Region. The unit is 45 km from St Ives. The kitchen is equi..
Apple Blossom Lodge is a holiday home situated in Saint Eval in the Cornwall Region and is 48 km from St Ives. 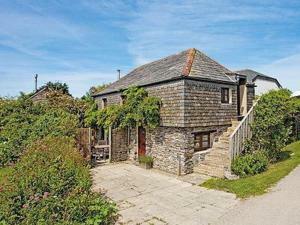 The property is 12 km from Newquay and .. Located in Saint Merryn in the Cornwall Region, this holiday home is 48 km from St Ives. The unit is 12 km from Newquay. Free WiFi is featured through..
Around 5 miles north of Newquay, The Park at Mawgan Porth offers a wide choice of accommodation and on-site facilities including a sauna, hot tub and ..
With free Wi-Fi in its rooms and free parking on site, The Scarlet Hotel is situated in Mawgan Porth, Cornwall. 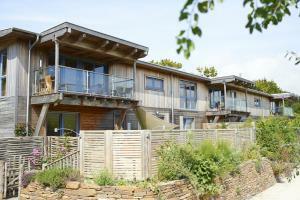 It has an award-winning chef, a restor..
Constantine is a holiday home situated in Saint Eval, 48 km from St Ives. The unit is 12 km from Newquay. There is a dining area and a kitchen comple.. 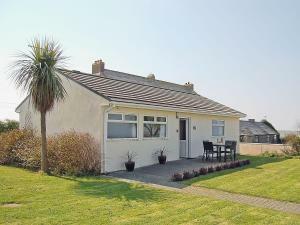 Featuring free WiFi throughout the property, Surfside is a holiday home, located in Saint Eval. It provides free private parking. 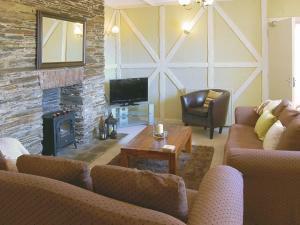 There is a dining a..
Chalet 81 offers accommodation in Padstow. It provides free private parking. An oven, a toaster and a refrigerator can be found in the kitchen and th..